Companies strive to keep customers happy. Why? Because happy customers buy more and this leads to higher revenues. Yet a firm also needs to manage its customer service expenses to produce profits. Therefore many firms are moving to more self-service in order to reduce calls to live people. This move from full-service to self-service can have unintended consequences, especially if it's not a match with the culture, customers, and product. Consider Widen, a Software as a Service (SaaS) firm headquartered in Madison, WI that is a trusted leader in Digital Asset Management. 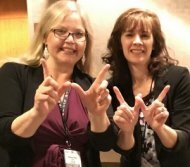 At the SpeechTEK 2017 conference, I heard Lanita Haag, Director of Customer Support (right in photo), and Melanie Olson, Community and Events Manager (left), share the Widen story of self-service and full-service support. It's an inspiring pursuit of passionate purpose. Widen is a 65-year-old company with a history of being high-touch and hands-on. They value responsiveness  the expectation is to get back to customers in the same day. Widen has over 500 loyal business customers in more than 150 countries around the world. Widen is a WorldBlu freedom-certified organization built on 10 core values: integrity, transparency, fairness & dignity, choice, purpose & vision, accountability, reflection & evaluation, dialogue & listening, decentralization, individual & collective. Widen's theme is Eudaimonia. It's a Greek word that means happiness, health, and prosperity for everyone. It's often stated as human flourishing. Around 2009, a new CEO came in with a new strategy to create stand-alone applications for the consumer market. The revised purpose was to move from hundreds of customers to 10,000+ customers. This strategy was in line with the software trend toward self-service. Widen moved all services into the cloud to gain efficiency so less staff would be needed for support. They defined repeatable, one-size-fits-all processes. When they assessed progress for the 2012-2014 period, they found that customers were not happy. There was a 1.5% decline in customer satisfaction. Employees as well were not finding meaning in their work and were not connected to their customers. An assessment showed Widen was not living true to its core values. This move had taken away choice and transparency. It had make the job harder for customers. The move into the consumer market was not a fit. Widen went back to reaffirm who it was by aligning its values with its talents and competitive advantage  to discern its passion. It then aligned that passion with its purpose. It stated the Widen Experience: We work to develop products, services, solutions, teams, and relationships that drive connected experiences. It pursued that purpose by increasing engagement with customers through running the Widen Summit, changing its website, expanding the help desk team, conducting more training to grow its people, doing in-person customer visits and dinners, and much more. It invested in its culture. Note that firms can also do other things to improve customer engagement. An example is ChoiceView from Radish Systems. ChoiceView allows customers to visually interact during phone calls and chat sessions with the company, whether it's with an automated voice system, bot or live agent. According to the best-selling book Brain Rules by Dr. John Medina, stimulating more of the senses  such as seeing and hearing  increases understanding, recall, and retention by as much as 600%. When Widen assessed progress in 2016, it found amazing results. Customer satisfaction increased by 11%. Net Promoter Scores, or the likelihood a customer would recommend Widen to a friend or colleague, went from 34 in 2012 to 48 in 2016. Customer retention went from 89% in 2012 to 95.4% in 2016 with a goal of 97%. Attendees in the Widen Summit grew by 146% in 5 years. Employee headcount grew by 38% from 2014. WOW! In its return to its core principles, Widen discerned its passion, aligned it with a clear purpose, pursued that purpose, and assessed progress. Although Widen did not name it as such, they followed what I call the Pursuit of Passionate Purpose process which can produce extraordinary results. GIVE THE GIFT OF PASSIONATE PURPOSE. You can buy my book at the Passionate Purpose Store. It's a meaningful gift that keeps on giving. RADISH. Interested in more of the Radish story? Follow Radish @RadishSystems or @ChoiceView on Twitter. And subscribe to Radish's RSS feed. BLOG. 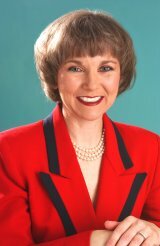 Check out my latest Radish Sprouts blog posts about business, career, and life performance. Pass it on. Feel free to share this newsletter, using my name and copyright declaration, with your colleagues.